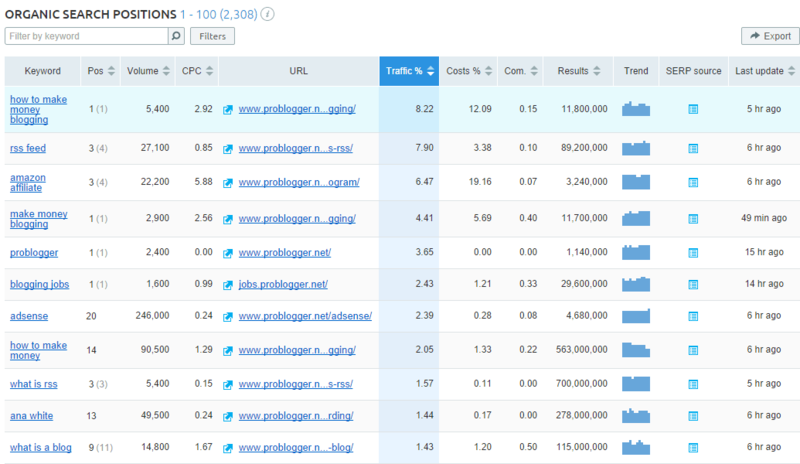 Knowing how to use SEMrush correctly can make competitor analysis very easy. This SEMrush Review focuses on how to use the tool to analyze what your competitors are doing to get their web pages indexed and listed on the Google search engine results pages. If you want to be successful with online business or professional blogging it is very important, probably even critically important, to know what your competitors are doing to attract traffic and get high Google rankings. It is not a comprehensive instruction manual, but designed to highlight some of the more useful aspects of SEMrush and how you can use them push yourself ahead of your competitors for specific keywords in Google’s rankings. 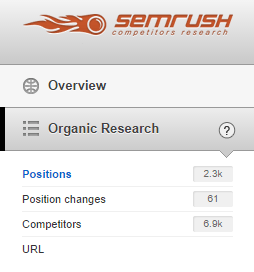 A major focus of SEMrush is to enable you to analyze how your competitors use keywords. 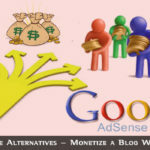 Part of this analysis involves the use of keywords in Google’s AdWords PPC program. You can establish if and how each of your principal competitors uses AdWords, the main keywords they use when advertising and how much each click is costing them. 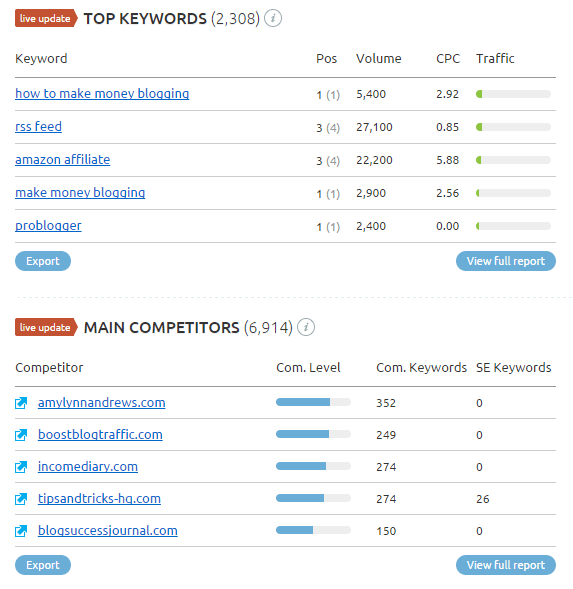 All successful internet marketers and bloggers understand the importance of keyword and competitor analysis, and SEMrush offers an excellent and very effective means of doing this. The application allows you to identify every keyword/search term used in the top 20 Google search engine results for any keyword. Yes, it focuses on Google, but most people use Google when searching for information online. A top 20 ranking on Google is worth more than a high-ranking on all the other search engines combined. In fact, some of the minor search engines use Google results. 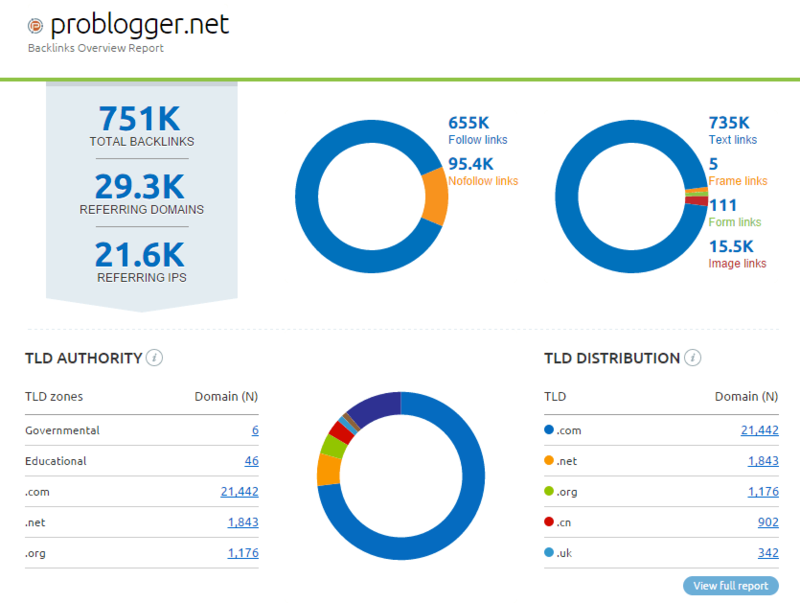 Simply enter the domain you want to analyze and the version of Google you want to use. You can analyze a specific domain or URL, or you can enter a keyword to carry out keyword research. We shall explain keyword research later, but for now we shall focus on analyzing a competitor’s website or even your own. You can also use SEMrush to compare two sites such as yours and a competitor’s. Here is an example of part of the initial overview screen you see when you click ‘Search’ after entering your chosen domain. We have chosen a six-month report, but you can select any of the time periods shown. The blue line shows the organic search traffic, and the orange line is paid traffic from the Google AdWords PPC program. There is no orange line because this site had no Google AdWords ads running over this period. Other features of this initial overview screen include an indication of the keywords that generate most organic traffic to the site and also a list of the site’s 5 main competitors. The latter are fundamentally the top sites using common keywords that these competitors and your chosen subject site are ranking for in Google’s top 20 listed results. Note: these are two different reports, so the Competitor does not relate to the Keywords. b) Ignore them, and try to dominate for keywords your competition is not using. The fact that these keywords are providing your competitors with traffic does not necessarily infer that they are all being used by the top five listed. To find that information, simply click on these five sites one at a time. You will then be presented with the same Overview results for each competing site you click. These may or may not present your site as a top 5 competitor for your chosen competing site. However, that’s not the objective here. Your objective is to find out who your competitors are and what keywords they are ranking for. By clicking on each result you can go deeper still and check the same results for these 5 main competitors. Using these two results sections you should be able to find all your significant competitors and also the keywords that are providing them with the bulk of their traffic. Saving Results: A useful feature of SEMrush is that you can download all of these reports as a PDF file for future use. For example, you can use previous reports to compare last year’s main competitors with this year’s, or how the sources of your traffic have changed over the years. The results might be a snapshot, but by retaining them in your files and comparing them snapshots can offer excellent trending information. Keyword: the keyword that brings users to the website from a Google search using the chosen Google region. 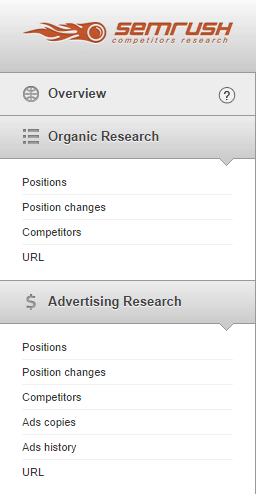 Pos: The position the domain holds in Google SERPs for the period stated – the previous position is in brackets. Volume: The average volume of monthly search queries for that keyword over the past 12 months. CPC: The average price paid by advertisers for each click in Google AdWords. URL: The landing page URL on the stated domain shown in the search results for that keyword. Traffic %: The percent of total traffic to the stated site provided by that keyword. Costs %: The estimated proportion of the total site advertising cost for that keyword. So 40% would indicate that – that keyword is estimated to take up 40% of the total advertising cost if all keywords were used in AdWords. Com. : Competitive density for the keyword – how much competition is there for each keyword, with 1 being the highest possible competing sites using that keyword in AdWords. Results: The Google results in organic search for that keyword – the number of URLs listed for a search using that keyword. Trend: The trend of popularity for use of that keyword in search. SERP source: A snapshot of the search engine results page for that keyword. Last update: The date when the results for that keyword were last updated. All of this is extremely useful information for anybody carrying out analysis of a competitor’s website. It’s also extremely useful for your own website, because never forget that you can also carry out such research to learn more about the performance of your own domain and each page within it. In addition to carrying out the above analysis on your own and your competitors’ websites, here are some specific uses of this service. SEMrush enables you to establish who your main competitors are and what keywords are providing them with the bulk of their traffic. By knowing their main ranking keywords, you can focus on these yourself and work on outranking them. a. Enter your own URL into the main search box, and select the area you wish to target. Most people use USA as being the largest western source of online traffic. b. Check your top keywords (SEMrush lists the 5 that generate most organic traffic to your website) and make a note of these. c. Check your top 5 competitors. d. Click on each of these in turn and note the same information. 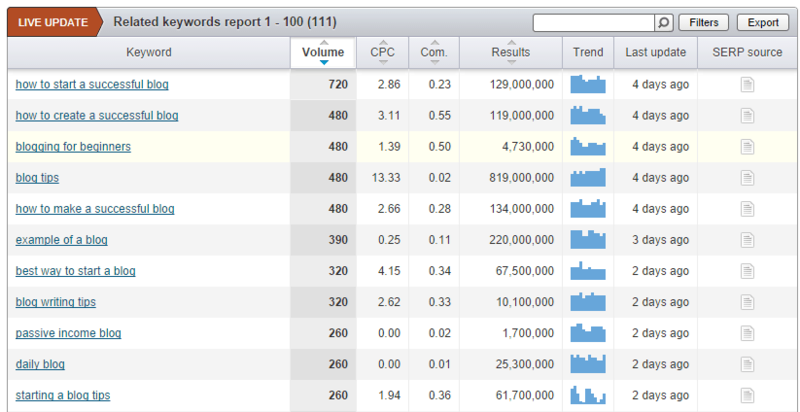 It’s useful to find out the top 5 keywords they are using, and also their top 5 competitors. e. Compare their keywords with yours. f. Click on ‘Positions’ in the left hand menu, and examine the more detailed information on your own site and that of each competitor. 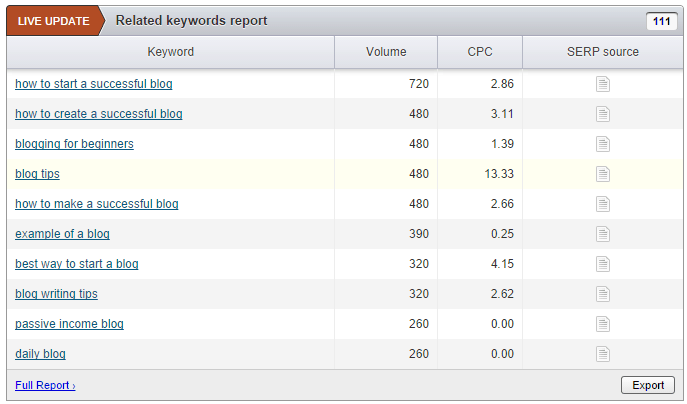 This will give a more detailed understanding of the performance of the various keywords each is using. You should also compare their traffic with yours and any paid traffic they have. This should give you enough information to compare how well your competitors’ sites are performing relative to yours, and what keywords they are making best use of. Once you know your competition and the keywords they are ranking for, you can visit their website and check their source code: right-click on a webpage or blog post then click on ‘View page source’. You can examine the page’s Title tag and Description Meta tag in the head section of the HTML. Take note of how they use the ranking keyword in these Meta data. Also check the Keyword Meta tag for information on any other keywords the page might be targeting. No major search engines ever use the Keyword tag these days, and it is generally best to leave it blank. Then you won’t be giving away your major keywords to your competitors. Sure, they will eventually find them, but why make it easy for them! You can also check on how much on average they are spending on advertising, particularly on Google AdWords. The higher the cost per click for a keyword, the more important they might believe it to be for them. That’s information worth knowing. If you are new to a niche, and are unsure what keywords to rank for, fire up SEMrush and find out what keywords your competitors are using and use the same. Backlinks from authority sites are a significant factor in your Google ranking. Links from poor sites, adult and gambling sites, link farms and any page that Google believes to be suspicion or in breach of its TOS can drop you down the rankings and even result in your entire domain being deindexed. So it is very important for you to regularly check up on where your backlinks are coming from. We should stress here that it is individual pages or posts on your website or blog that Google ranks, and not your entire domain. However, while such individual pages can also be deindexed because of bad links, Google does have a history of deindexing entire domains for a breach of its Terms of Service by just one page if it believes that breach to be severe. The ‘Overview’ provides information on the total number of backlinks to the domain, along with other useful information. The split between ‘Follow’ and ‘Nofollow’ links is shown, along with other data such as the geographical distribution of backlinks and their TLD authority (.com, .net, .gov, etc.). In Google’s hierarchy, it is believed that .com sites tend to be given a higher ranking weighting than .net and the others. That is just one of over 200 ranking factors of course! 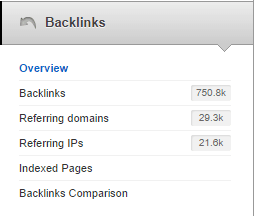 You can use this area of SEMrush to compare your backlinks with those of your competitors. You might have to improve your linking strategy for example, or to improve the ratio of Follow to Nofollow links. Google also prefers the links back to your site to originate from an eclectic range of sources, so everything else being equal, a page with backlinks from all over the world may rank higher than one with links only from the USA. Naturally, the authority of the link sources with respect to the topic of your domain will also be a very relevant factor. This is where an analysis of the keywords and Google ranking of your backlink sources will help you understand your own ranking better. By clicking on ‘Referring Domains’ you are given a list of all the domains giving you a backlink along with the number of backlinks from that site, and also when SEMrush first and last detected the link. While this is all useful information, the most important aspect is that you can analyze where your competitors are getting their links. You should be able to use that information to your benefit. You can compare domains for a number of factors such as where they are ranked by Google for specific keywords. Click on ‘Tools’ and you will find a number of options as shown. Some may be currently in Beta (test version), and once you have registered with SEMrush you can play around with these and find out whether or not they are useful to you. We are using two sites, but you can use up to five. This comparison is based on keywords used in organic search, but you can also select to compare the results from keywords used in your AdWords campaign. 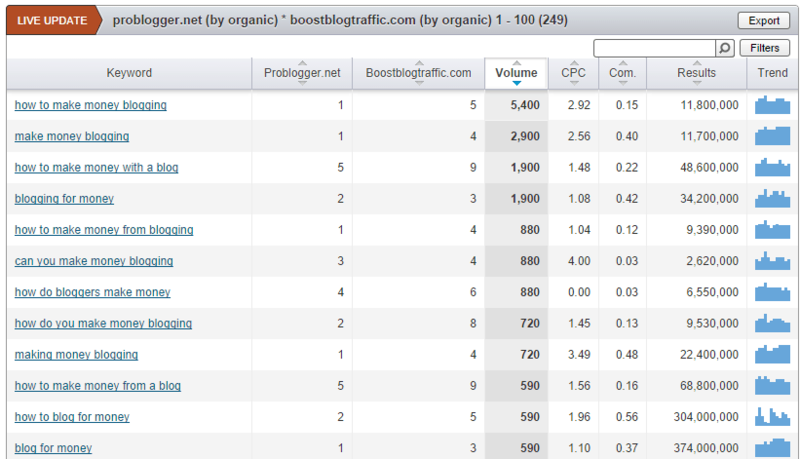 It shows the relative SERPs ranking for that keyword for each site. The report includes the average number of searches for that keyword over the previous 12 months, the average price per click paid by AdWords advertisers for that keyword, the competitive density for the keyword (1=highest competition), the number of web pages using that keyword (Results) and the trend of use of the keyword by Google users over the past year. The information you get from this analysis can help you to improve your keyword analysis, and to improve your website to make better use of your keywords than your competitors are making of theirs. If you are new to internet marketing and are unsure how to begin choosing the best keywords for your web pages, then SEMrush offers a very useful tool to help you out. 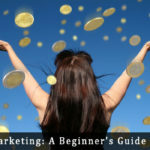 In fact, even experienced bloggers and internet marketers are unaware of the best way of selecting keywords. 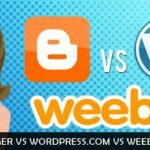 They often begin with some popular and obvious choices, and try to outrank mature sites for them – then wonder why they are failing! 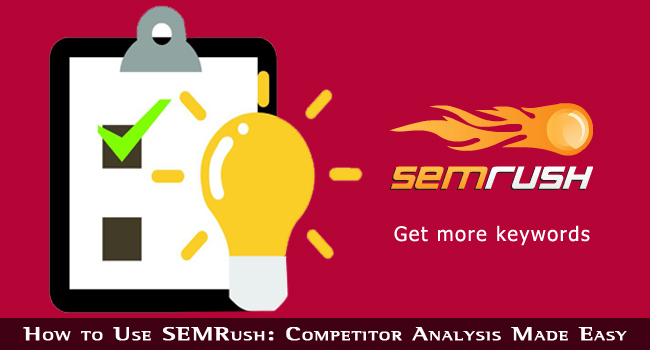 You can take a more intelligent approach with SEMrush and its keyword analysis tool. 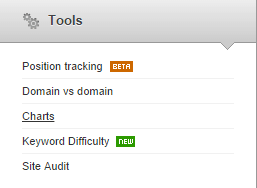 Search down for ‘Keyword Research’ on the left hand menu of SEMrush, and click ‘Overview’. Enter your main keyword (I used ‘blogging tips’) into the top search box and click ‘Search’. This offers variations on the keyword theme. ‘Volume’ refers to the average number of monthly search queries over the past 12 months, while ‘CPC’ is the cost per click of that keyword if used in an AdWords advert. ‘SERP source’ gives a snapshot of Google’s results page for a search using that keyword. This provides details of related keywords you might want to consider. Click on any one of the keywords included in the above reports, and you will receive the same information using that selected keyword as the standard. This offers even more suggestions for potential keywords, and if you click on ‘Full Search’ in the same menu, you get the same information but for your ‘Phrase Match’ keywords. There are many other menus and options in the full SEMrush program. You will have a great deal of fun working your way through them and finding out they will help you. Interactive Help is provided all the way through, and there are also videos to help to make the best of this amazing suite of SEO tools. You can start with a free account, allowing you to carry out 10 searches each day and see the top 10 results. Beyond that there are a number of options according to how professional a site you have and how many results and keywords you want to analyze. Try SEMrush Pro Free for 14 days! As a final word before our conclusion, keep in mind that for now SEMrush applies to websites only. You cannot analyze the results for individual pages. That may very well be an upgrade in the future, but not now. 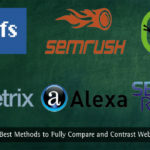 SEMrush offers a unique suite of tools that enable anybody to carry out effective analysis of the keywords and backlinks their competitors are using to achieve their Google ranking. It also offers a good insight into how their competitors are using AdWords to advertise their site – or even if they are using it! It is also an essential tool for those offering SEO and keyword analysis services. Perhaps one of the most useful tools for beginners is the keyword research tool, enabling you to select the best keywords for your site based upon supply and demand. It is well-known that the best keywords have a high demand (large numbers of people using them in Google’s search box) but with as low a supply (as few competing sites using these keywords) as possible. 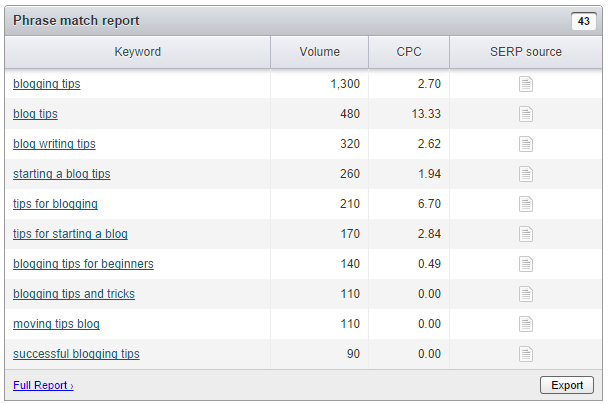 This is fundamentally how to use SEMrush for keyword and competitor analysis. Once you get into it be very careful, because it is so fascinating a set of tools that you can spend a great deal of time playing with it. Ascertain those parts of the suite that will assist you most, and then play with it once your website is ranked higher than at least the majority of your main competitors.